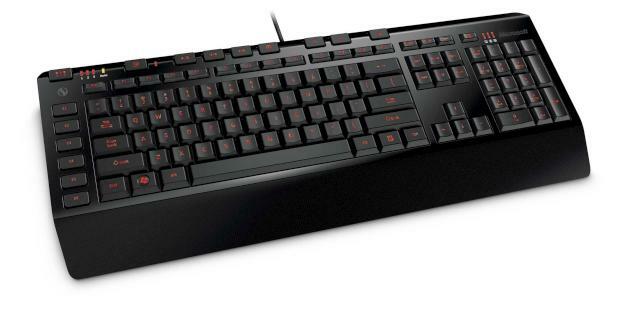 Using “the industry’s most advanced anti-ghosting technology,” Microsoft’s upcoming SideWinder X4 gaming keyboard “takes anti-ghosting to the next level by allowing gamers to press up to 26 keys at once.” And all for around $60! This thing is PERFECT for playing an educational game where you have to type out the alphabet as quickly as possible. With this keyboard, you could just mash all the letters down at once and hope that they show up on the screen in order. It also features macro recording, profile switching, media keys, and adjustable backlighting. I’ll go out on a short limb and guess that ghosting is a problem for some gamers where a few keys are pressed at the same time, but it hasn’t reached an epidemic level of having to press 26 keys at once yet. It’s always good to future-proof your technology, though, huh? The SideWinder X4 will be available in March.